George Nelson, one of America’s forefathers of Modernism, designed the Nelson Platform Bench for the first Herman Miller Collection in 1946. The bench features ebonized wood legs to support a rectangular shape. The clear-cut design conveys Nelson’s advocacy for “honest” design, which believed in matching up the appearance of a piece to its intended use. This type of bench is perfect for an MCM sitting room—its simplicity is a clear reflector of the era it heralded from, and at the same time does not confuse guests who just want to find a place to sit. 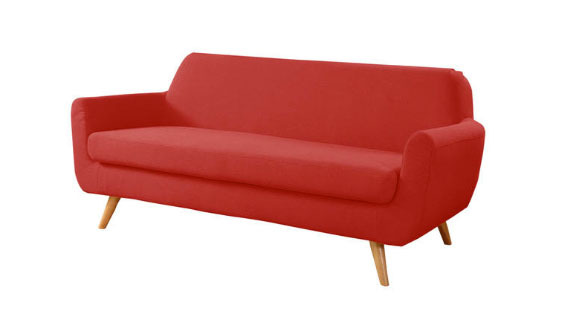 Midcentury Modern style should never take itself too seriously, and this red sofa brings some retro fun to the otherwise mostly monochrome and neutral-toned room. A bold but one-color piece like this is a safe way to introduce kitsch to a more sophisticated room—and entices visitors to sit down for a chat. Find a chair similar to the one in this sitting room on Overstock. This armchair capitalizes on two classic MCM materials: plastic and wire. Such low-maintenance parts won’t have guests sweating about accidentally spilling their cocktails onto the cushions, and the unique curved shape paired with the classic Eiffel Tower base makes for an eye-catching visual point in the room. 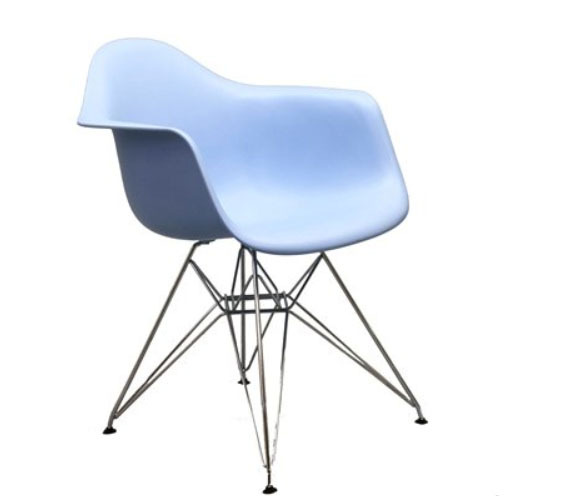 Get this midcentury designer chair in white or black, blue, green and red on ModwayFurniture.com. Notice how a majority of the seating in this room does not have arms—but it is not that they lack it. It was the intention of many a midcentury designer, like Paul Rudolph, to design around space as if it were just another material like wood or plaster. 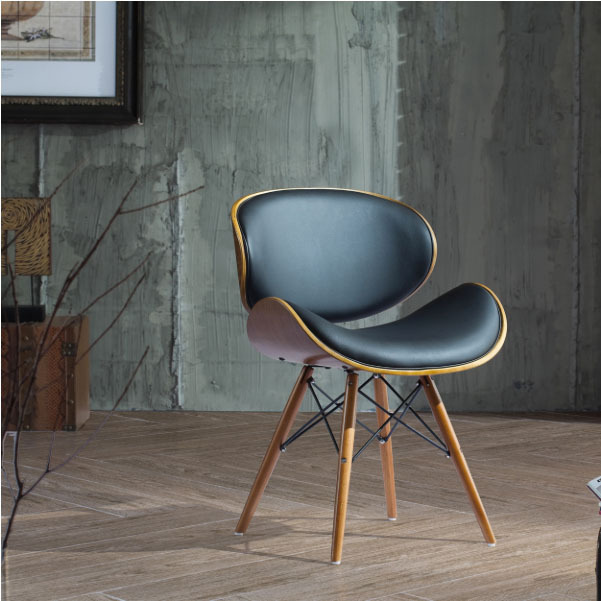 Incorporate furnishings inspired from this design phenomenon like this armchair on Overstock. 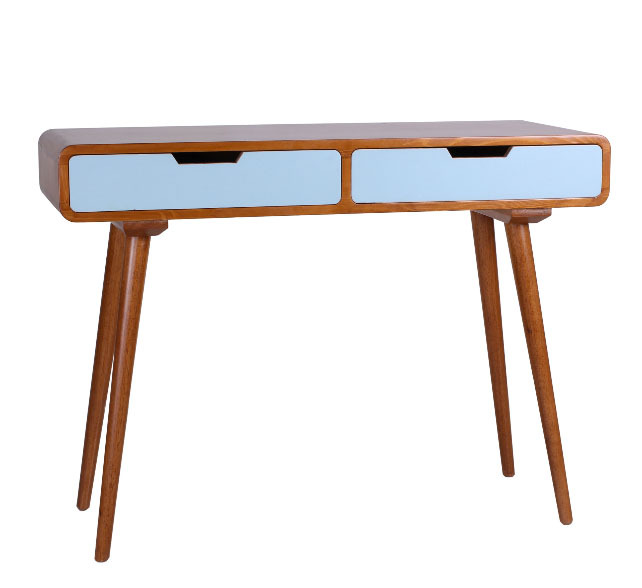 Instead of a coffee table, opt for a console table. The hidden storage allows you to maintain the room’s clean aesthetic, which a pile of papers on the counter would disturb. Pick up a Daly Console Table like this from Wayfair—the pyramid legs are especially a trademark of bases for MCM furnishings. 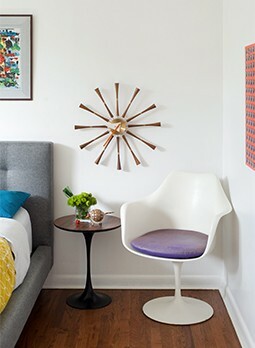 It’s not a true midcentury room without an eclectic centerpiece for the table. 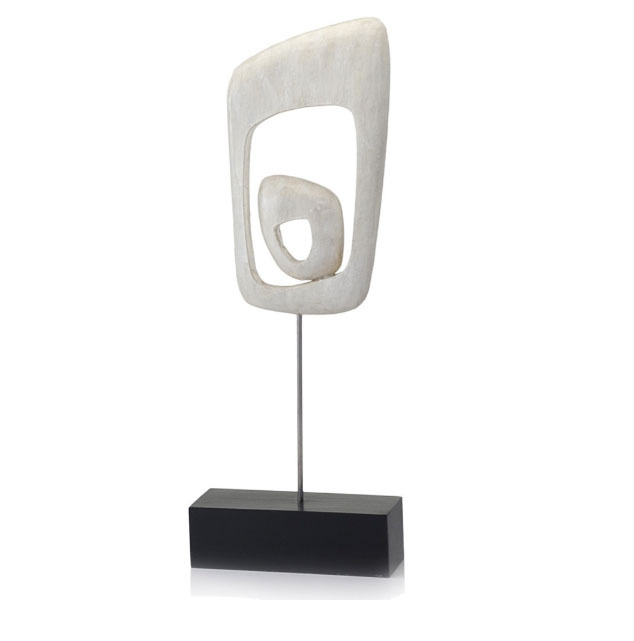 The abstract shape pays its respects to the art of the 1960s, but the sculpture’s white wood medium like in this piece from Overstock keeps the piece in tune with the sitting room’s overall modern theme.